Amir R. Gissin, Consul General of Israel, Toronto: "The concept of using humour to break down stereotypes and preconceptions about Israel, and doing this by sharing offbeat amusing stories published in the Hebrew press, is certainly creative and deserves our support. 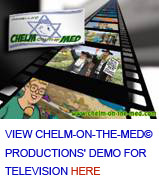 I found the site well crafted - funny and endearing, and it is a truly refreshing 'take' on Israel. We need more of this kind of light-hearted input in our advocacy efforts."